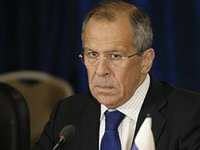 Russian Foreign Minister Sergei Lavrov said, responding to a question from Interfax as to whether Crimea can be regarded as a location to place Russian nuclear weapons: "Crimea has now become part of a country that has such weapons under the Treaty on the Non-Proliferation of Nuclear Weapons." "And by international law, the Russian state has all grounds to dispose of its legitimate nuclear arsenal in accordance with its interests and in accordance with its international legal obligations," Lavrov said. Lavrov said Crimea has never been a "nuclear-free zone" in the sense of international law. "It was part of Ukraine, which is a country that has no nuclear weapons," he said. "The term 'nuclear-free zone' has never been used for Crimea. This term characterizes a specific international legal agreement. Nuclear-free zones exist in Latin America, Central Asia, and Southeast Asia," he said. The NATO administration has repeatedly expressed concerns about the alleged militarization of Crimea. Specifically, NATO's Supreme Allied Commander General Philip Breedlove has recently said his concerns are based on two factors. The general said the Russian armed forces continue to hold the territory and it may be used and "the capabilities in Crimea that are being installed will bring an effect on almost the entire Black Sea." Breedlove also recalled the statement made by the Russian Defense Ministry in March on the possibility of nuclear weapons being sent to Crimea. He said NATO is very concerned and continues to follow the developments.